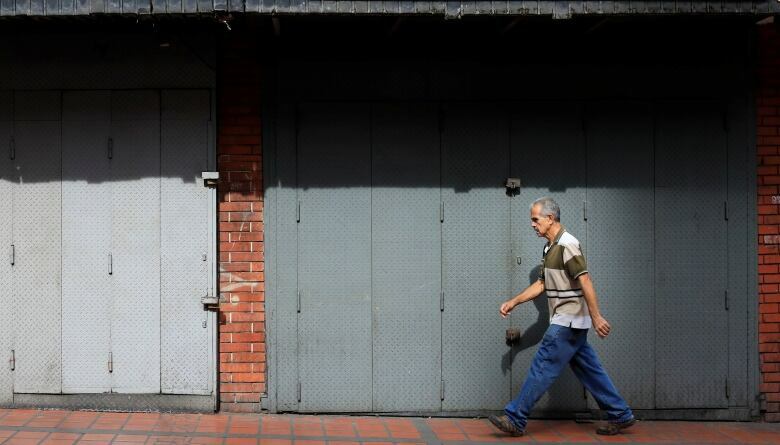 Led by Peru, more than 50 countries urge Venezuela to restore the rule of law and open its doors to humanitarian assistance, as an economic crisis causes shortages of medicine and growing malnutrition. Led by Peru, more than 50 countries urged Venezuela on Thursday to restore the rule of law and open its doors to humanitarian assistance, as an economic crisis causes shortages of medicine and growing malnutrition. Venezuelan security forces are suspected of killing hundreds and they enjoy immunity from prosecution, indicating that the rule of law is "virtually absent" in the country, the UN human rights office said in a report last month. 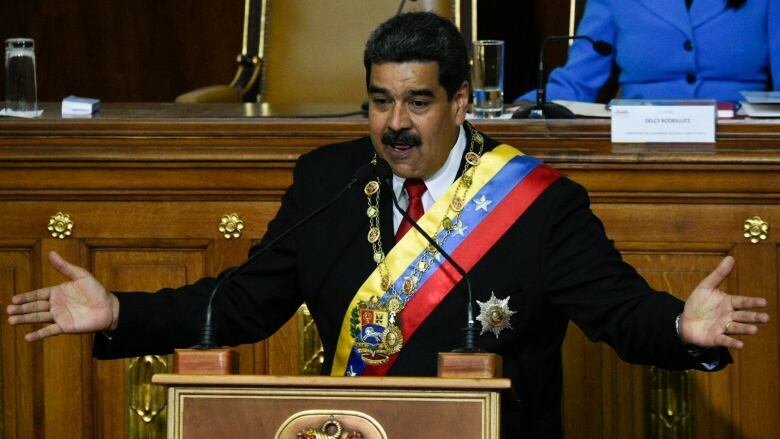 Critics say President Nicolas Maduro has used increasingly authoritarian tactics as the economy spirals deeper into recession and hyperinflation. The conditions spurred hundreds of thousands of Venezuelans to emigrate in the past year. "We are concerned by accounts concerning serious human rights violations that include extrajudicial killings, excessive use of force, arbitrary arrests, torture and ill-treatment and the lack of access to justice," Peruvian Ambassador Claudio Julio de la Puente Ribeyro said in the joint statement to the UN Human Rights Council. 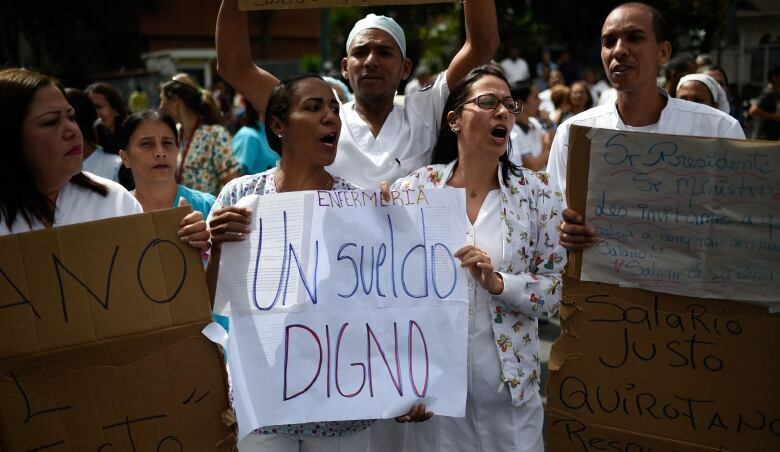 Shortages were forcing Venezuelan families to drastically reduce their food intake, and health-care facilities lacked medicine and equipment, de la Puente Ribeyro said. "We call upon Venezuela to recognize the gravity of its situation and to open its doors to humanitarian assistance, to co-operate with the Council's human rights mechanisms." Venezuela, backed by allies Cuba and Bolivia, repeatedly interrupted de la Puente Ribeyro as he read. They had raised procedural objections to try to block him from speaking, but the forum's president, Slovenian Ambassador Vojislav Suc, ruled he could proceed. Venezuela's deputy ambassador, Felix Pena Ramos, rejected "arbitrary or illegal interference." But Mexican Ambassador Socorro Flores Liera said: "We are concerned that countries speaking about politicization are really those who are politicizing debates, preventing a group of countries from making statements." British diplomat Bob Last said that technical assistance could not address all human rights problems in Venezuela, "but this would be a good start and in line with what is expected of a member of the Human Rights Council." The United States, usually outspoken about Venezuela, was conspicuously absent. It withdrew from the council last month, calling for reforms to correct what it sees as a "chronic anti-Israel bias." "This joint statement comes at a critical moment: Venezuela is in a downward spiral with no end in sight," Leila Swan of Human Rights Watch said in a statement. "The growing chorus of international concern highlights the need for continued reporting and action at the Human Rights Council until Venezuela ends the brutal crackdown on its people," she said.